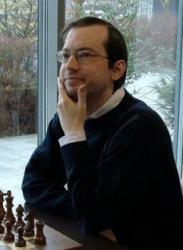 Dr. Karsten Müller earned the grandmaster title in 1998 and is the co-author with IM Frank Lamprecht of the highly acclaimed Fundamental Chess Endings. His popular column has appeared at ChessCafe.com since January 2001. A new column is posted the third Tuesday of each month. Zwischenschach is German for in-between-check, which is an important technique in the rook endgame. Black must play the zwischenschach 52...Rf2+! To read this content you will need to become a member. To do this, please fill out the form in the sidebar or click here to Become a Member.